I recently ran into an issue where Outlook 2016 on Windows 10 was giving me one of these errors whenever I would try to click on a link: “This operation has been cancelled due to restrictions in effect on this computer. Please contact your system administrator” or “Your organization’s policies are preventing us from completing this action for you. For more info, please contact your help desk”. While there are security policies in place, the ability to click on a hyperlink is not included in them, so the issue had to be from something else. In my case, my default browser was set to Firefox (recently upgraded from the x86 to the x64 version, which might have been when the problem started). After some digging, I found the steps needed to resolve this issue. In Internet Explorer, Select Tools > Internet Options. Make sure that the value of the String (Default) is “htmlfile“. 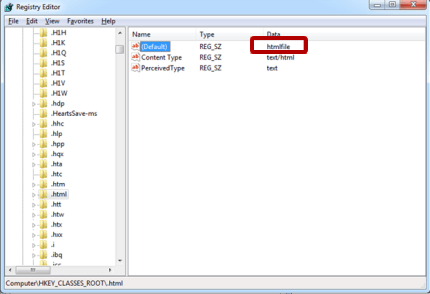 If it’s not “htmlfile”, right-click (Default), select Modify, input htmlfile in the Value data box, and then select OK.
After completing the steps above, try clicking on a hyperlink in Outlook again and it should open in Internet Explorer. Once you have verified links are working, you should be able to change your default browser back to Firefox or Chrome and the links should open in that browser now. You can try some other options from this Microsoft KB article. Thank you. This worked on the first try. Thank you, thank you, thank you! This has been driving me crazy! Thanks so much, I’ve been battling this problem for weeks and haven’t had any luck with other solutions. I’m glad to hear it worked for you! Well done Sir! Thank you for a short and to the point remedy. Thank you SO much!!! I can use my email normally now, I was so stressed. Vert glad I read your article. Works perfectly. Here what worked for me in Outlook 2010: I went into Win-10 settings\update & security\troubleshoot\program compatibility troubleshooter, and then selected Outlook and ran the troubleshooter. It identified a problem and gave me two options. The first one didn’t work but the second one did. The troubleshooter went into Outlook and repaired the glitch. 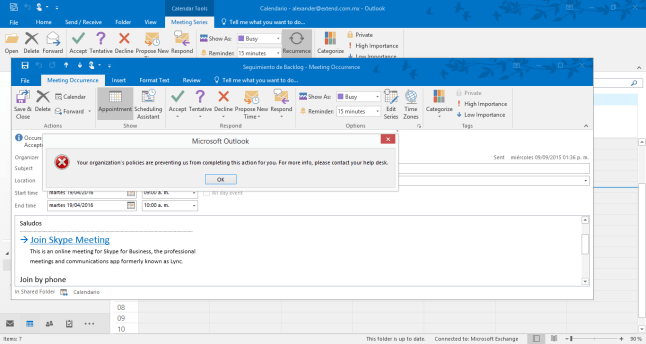 I can now open hyperlinks in Outlook. Thank you for sharing. I’ve added another step to the article above with the CMD commands. Originally, my steps only fixed HTML links. The CMD commands fix other types like .htm, etc.